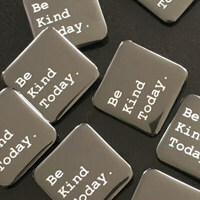 You can get a free ‘Be Kind' badge and join their noble cause. Follow our link and fill up the form with your postal details and this badge will be sent to you free of cost. Click on “GET IT HERE” button and then follow instructions given above to get yourself a free badge.